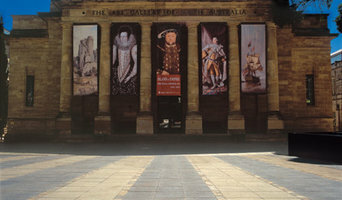 Entertaining and relaxing outdoors is a big part of life in Adelaide. The professional design team at Pergolas of Distinction can work with you to design a custom built pergola, verandah or gazebo that gives your home the wow factor. With or without a roof, we have the ideal solution in form of professionally painted and sustainable timber. Our products are especially designed for Australian weather conditions. Our team of design consultants and construction specialists are licensed experts in all aspects of building and design. 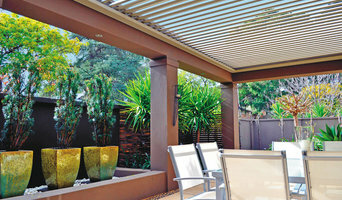 Enjoy a hassle-free makeover of your outdoor space while we obtain all necessary council approvals for you. We ensure that your outdoor project is cost-effective. Feel part of your home project as our team keeps you informed with expert advice at every step of the process. My Dezign Exteriors are specialists in home improvement design, primarily using Colorbond® and Custom made steel, offering you the benefits of long term strength and durability and endless beauty. We design using only quality Australian made and manufactured materials providing the benefits of stringent Australian Design Standards and exclusive warranties. 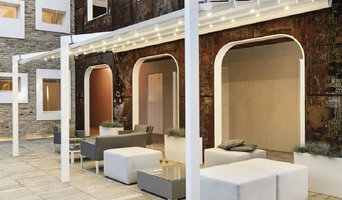 Quality Home improvements begin with great understanding of your needs and requirements and matched with our using a design flair, capturing the advantages of the position and unique features that will enhance your exterior living area. Using only quality materials, we will ensure your complete satisfaction and deliver to you, the greatest value overall. We offer not only this but outstanding professional service, competitive prices and the personal care and attention you deserve. Best Bricks & Pavers is a 100% South Australian owned business that manufactures concrete pavers right here in Adelaide. Established in 1993, Best is now a market leader in the supply of segmental and large format paving, wall blocks, bricks, footing blocks and natural stone flooring products in Adelaide, South Australia. From the outset, Best’s charter has been to provide world-class concrete products. Best has never offered the same old products as everyone else, instead Best started with a clean slate. Travelling the world for inspiration; taking the best European style, and adding our own ingenuity. Leading the way with constant innovation; Best have created pavers and tiles in new styles, new sizes, new colours and new finishes on a large scale, as well as for the boutique marketplace. Every product that Best sells is manufactured in a 40,000m2 manufacturing facility just outside of Adelaide, at Wingfield in South Australia. Eclipse specialises in design and construct of outdoor louvre products consisting of the Eclipse Opening Roof & Sun Louvres. A great way to enjoy the outdoors all year round at the touch of a button. Enjoy winter sun light whilst automatically closing for full rain protection and then in summer angling for full shade and ventilation. At Think Home Improvements we do everything to make your home amazing. We know how personal it is to make changes to your home and that’s why we will make it the smoothest and friendliest experience. We pride ourselves in being highly competitive, offering high standards of service through our highly trained, field representatives and customer service personnel, quality workmanship and value for money. From your initial inquiry, to our free no obligation design consultation through to the final quote we’ll guide you through every step. We will ensure that the contract is delivered on time, all within budget ensuring that the finished project is to your exact requirement. We have a strong leadership system with a mix of directors with backgrounds in Finance, Accounting, Business and Home Improvements ensuring we provide a secure well funded and managed company and we are here for the long term. Stratco is an Australian and New Zealand retailer & manufacturer of building, home improvement and hardware solutions, supplying quality products to consumers & the trade. Hands on, Design & build, custom & crafted timber style outdoor ling spaces, over 25 years experience, small team, individual attention. 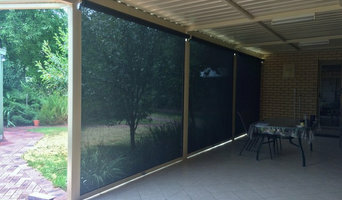 Ziptrak® manufactures Australia's leading outdoor blind system, providing year-round comfort for your outdoor living space. Our unique and innovative track-guided system can be purchased through hundreds retailers across Australia. We are a family-owned Australian business producing Australian-made products, based in Adelaide with distribution into several countries worldwide. J & S Pergola Installations is a dedicated South Australian family owned business, currently employing a small team of experienced and professional carpenter’s and trades men. Our small but devoted team have been employed by J and S Pergola for many years and are experts in their field. Their expertise and knowledge within the industry means your job is in great hands. No job is too big or small; we are committed to providing the best quality service at the most competitive price. J and S Pergola understand that when it comes to making decisions on design and colours, the process can sometimes become overwhelming. J and S pergola take the hassle out of making these decisions. We will work closely with you and take into consideration your current style and living requirements, offering you the best advice and innovative design ideas to help you every step of the way. With over 30 years’ experience and a focus on product quality and customer service, you will not be disappointed in the service we provide. Some contractors in Prospect, South Australia can custom design and build any type of outdoor structure, from decking to pool houses, while others specialise in a certain area. A deck, patio and outdoor structures contractor will typically survey your space and come up with a design that complements your backyard and the exterior of your Prospect, South Australia house. 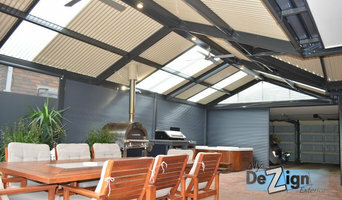 Find a Prospect, South Australia deck, patio and outdoor structure pro on Houzz. Scroll through this page to professionals in your area that can design, build and supply materials for all types of outdoor structures. You can browse their latest projects, read reviews to see how other homeowners rate their work, and message them directly.